I came to this book in a roundabout manner. While I enjoyed Swanwick’s earlier novels In The Drift and Vacuum Flowers, his later ones Stations of the Tide and Jack Faust didn’t do it for me. But Swanwick published excerpts of this book in one of the SF magazines, and I enjoyed both of the ones I read, so I sought this out, only to find out that it took place in the same milieu as his novel The Iron Dragon’s Daughter (though it’s not a sequel), which I hadn’t read, mainly because I’m not a big fan of elves-and-dragons fantasy. So I read Daughter and thought it was, well, okay, but not great (I reviewed it here). Nonetheless, I picked this one up – and liked it a lot! The high concept of the setting is that even a medieval fantasy setting would progress and go through the industrial revolution, and by the time of Dragons technology has reached something close to modern standards, with big cities, subways, and modern warfare alongside the fantastic creatures of fantasy. Class differences exist not just among individuals, but among different types of creatures (with elves being at the top, of course). Into this world is born Will, a young elf who is being raised in a woodland village until a dragon (basically a flying tank) from the ongoing war is wounded and crawls into Will’s village and takes over. The creature disrupts Will’s life so severely that he’s forced to leave the town, and he joins a pack of war refugees where he befriends a young girl, Esme, and an old confidence man, Nat. The trio make their way to the city of Babel, where Will joins a revolution, becomes an aide to a politician, and works with Nat to pull off what for Babel might be the ultimate confidence trick. 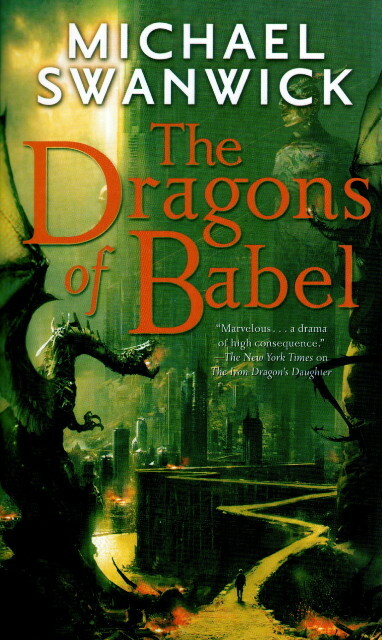 The Dragons of Babel is a coming-of-age story, of course, and also a traditional fantasy arc wrapped in a rags-to-riches story, but Swanwick crafts it so artfully that the clichés are just the structure on which the story is hung. A structure which is also largely episodic, which is why he could carve out pieces to publish in magazine form, and which also serves to mask the simpler structures. Individual episodes are arresting. The opening sequence with the dragon is as tragic for Will as it is enabling of his character. He gains confidence by joining the mysterious Lord Weary in his revolution against the ruling powers, by working inside the political machine (the episode “A Small Room in Koboldtown” during this phase is a locked-room murder mystery as it could only happen in a fantasy world), and he has to grow beyond his mentor Nat and confront his own identity in order to reach the culmination of his story. Swanwick’s writing style always has a hint of mythical wonder about it, but he can get down-to-Earth when he wants to, when he does more often here than in anything else I’ve read by him. Will is a fundamentally grounded, practical character who confronts the fantastic things in his life with level-headedness, even though he’s constantly dreaming of a better life for himself. 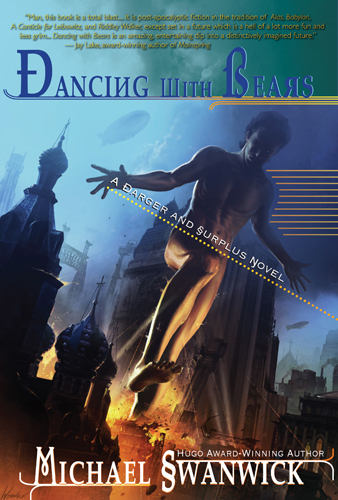 He bridges the gap between the technological side of his world and the fantasy side, bringing everything together more successfully than in The Iron Dragon’s Daughter. Altogether, Dragons is perhaps Swanwick’s most nuanced, and maybe best, novel. Swanwick seems to approach each novel differently, so it’s probably too much to hope that his next book will deliver more of the same. But it’s got me interesting in seeing where he goes from here.